Write a PHP script to get the last 6 months from the current month. Previous: Write a PHP script to convert seconds into days, hours, minutes and seconds. 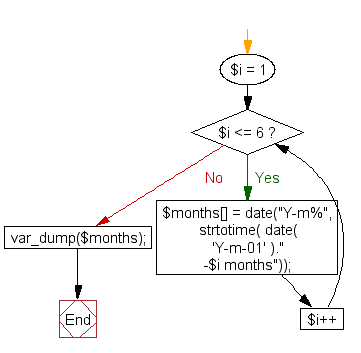 Next: Write a PHP script to get the current month and previous three months.